The longest biography in history takes a long step to completion with publication of The Churchill Documents, Vol. 19, Fateful Questions, September 1943-April 1944. (Order your copy here). Fastidiously compiled by the late Sir Martin Gilbert and edited by Dr. Larry Arnn, these 2700 pages serve up another fresh contribution of documents crucial to our understanding of Churchill in World War II. It is a vast new contribution to Churchill scholarship. The documents take the reader from the Allied invasion of Italy to the first Big Three conference at Teheran, Russian successes on the Eastern Front, fraught arguments over tactics and strategy as the Allies began closing in on Nazi Germany. The third of four companion volumes to Gilbert’s narrative Volume 7, Fateful Questions takes us to the eve of D-Day: the invasion of France in June 1944. While some documents are culled from already-published sources, most have never before been seen in print. They illustrate the sheer volume and variety of subjects Churchill dealt with. Leading one of the three main allied belligerents, he also presided as Prime Minister over the mechanics of government in all its aspects, and a vast personal correspondence. In Fateful Questions, Churchill is called upon to alleviate, in the midst of war, a severe famine in Bengal, India. Almost simultaneously, he is confronted with Italy’s surrender, and the question of who will lead that nation after Mussolini. From America come constant requests, prods and proposals—and the growing realization that by comparison to the USA, Britain will soon play a greatly diminished role. Militarily, Churchill has to consider siphoning resources from the Italian campaign to support the coming invasion of France. He must cope with belligerent notes from Stalin, often demanding the impossible; strained dialogue within the War Cabinet; difficulties in setting Big Three meetings; Parliamentary business; Japan and the Pacific; communications with the citizenry; appointments to fill; vacancies and losses; postwar planning—page after page, copiously footnoted by Hillsdale’s team of student associates and practiced historians. 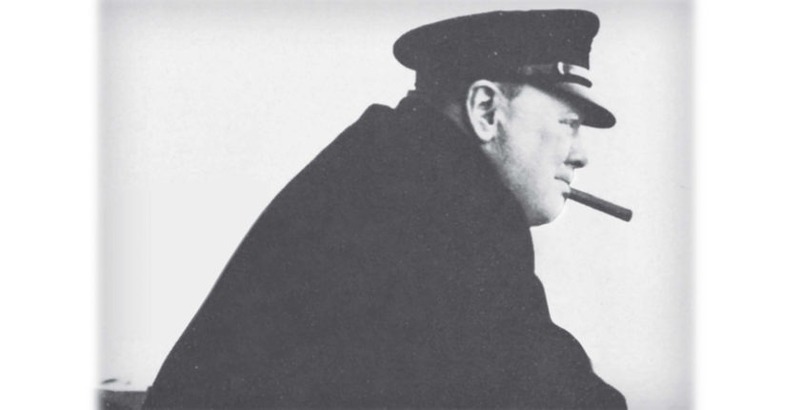 Even now, in the digital age, Churchill’s workload in 1943-44 would be enormous for several persons, not one man, pushing seventy, four years into a war for his country’s survival. His output was extraordinary, his prescriptions understandable and wise. If he lost his temper on occasion, it is fully understandable. This is not to suggest—as the documents testify—that Churchill was right on every subject. The fact that he was able to work daily for up to sixteen hours, coping with a work volume that would discourage ordinary men, is nevertheless to his credit. Churchill’s steady support of a national home for the Jews continued during World War II, and Fateful Questions contains many evidences of that interest. In 1942-44 Walter Guinness, Lord Moyne, was Resident Minister of State in Cairo, responsible for the Middle East, including Mandatory Palestine, and Africa. He was a lifetime friend of the Churchills. His assassination by Zionist extremists in November 1944 stunned Churchill. “If our dreams for Zionism are to end in the smoke of assassins’ pistols, and our labours for its future to produce only a new set of gangsters worthy of Nazi Germany,” he declared sadly, “many like myself will have to reconsider the position we have maintained so consistently and so long in the past.” Fortunately, responsible voices prevailed. It must be more than three months since the War Cabinet decided that a special committee should be set up to watch over the Jewish question and Palestine generally. How many times has this Committee met? At the present moment Lord Moyne is over here. I said at least a month ago that he should be invited to lay his views before this Committee. He has been made a member, but there has been no meeting. A meeting should be held this week, and Lord Moyne should have every opportunity of stating his full case, in which I am greatly interested. The matter might be discussed further at the Cabinet next week or the week after. Pray report to me the action that will be taken. In the Destroyers for Bases Agreement on 2 September 1940, fifty mothballed U.S. Navy destroyers were transferred to the Royal Navy in exchange for land rights to build American bases on British possessions. No one maintained that this was a fair exchange, but Churchill downplayed ensuing debate in Parliament: “This is not the appropriate occasion for rhetoric. Perhaps I may, however, very respectfully offer this counsel to the House: When you have got a thing where you want it, it is a good thing to leave it where it is.” Yet the debate continued through 1943, among the disgruntled of both countries. Churchill finally wrote President Roosevelt’s advisor, Harry Hopkins, to suggest a line the President might take. Bluntly he said that the value of the trade was unequal—but that, to Britain, American security overrode considerations of an equable “business deal.” This was astonishing admission, some might say, but it was characteristic of Churchill, and his loyalty to an ally. I am most grateful for the comments which the President made at his Press conference but there are several other important allegations which we think should be answered. I therefore propose to publish from 10 Downing Street on my authority something like the statement contained in my immediately following. Before doing so however I should be grateful if you would show it to the President, and let me know if he objects to anything in it. Statement begins….. I am very glad to have the opportunity to send through you my greetings and good wishes to Indian men of science and especially to the six Indian Fellows of the Royal Society, of which I am honoured to be myself a Fellow. It is the great tragedy of our time that the fruits of science should by a monstrous perversion have been turned on so vast a scale to evil ends. But that is no fault of science. Science has given to this generation the means of unlimited disaster or of unlimited progress. When this war is won we shall have averted disaster. There will remain the greater task of directing knowledge lastingly towards the purposes of peace and human good. In this task the scientists of the world, united by the bond of a single purpose which overrides all bounds of race and language, can play a leading and inspiring part. In the film ‘The Nazis Strike’ I must ask that the section showing Mr Chamberlain’s arrival at Heston Airfield after Munich, and also the shot of his going fishing with a reference to the ‘tired old man of Munich’ should be cut out, otherwise I could not be associated with the series. The story would run quite well from the signature at Munich to the meeting in Birmingham where Mr Chamberlain made his declaration that we would support Poland, &c.
With regard to General Georges. In my opinion he is a very fine, honourable Frenchman. For him I feel a sentiment of friendship which started to grow when we made our tour of the Rhine front together a month before the War. I do not think he was to blame for the catastrophe, except that he ought to have been very much stronger in demanding the retirement of Gamelin at the outbreak of war. Much of his strength and energy was expended in opposing Gamelin, but the inherent rottenness of the French fighting machine and Government would have denied victory to any General. Moreover, Georges is crippled from wounds received both in the late War and the assassination of King Alexander of Yugoslavia. I do not forget, though this is a point which should not be mentioned to the French, that when Petain and Weygand at Briand in May 1940 were clamouring for our last reserves and resources, including the last Fighter Squadrons, well knowing that the battle was lost and that they meant to give in, it was Georges who informed our Military Liaison Officer that the French Government would ask for an armistice and that we should take our steps accordingly. This is on record at the War Office. The greatest Anglo-American strategy argument was how much to throttle back the campaign in Italy (which had begun in September 1943) in support of “Operation Overlord,” the invasion of France, which both sides had agreed was the most direct route to Berlin and must go forward in 1944. Though this subject dominates our volume, four documents frame the debate. They illustrate that Churchill was not the only British leader who fumed over lost opportunities in Italy. It is becoming more and more evident that our operations in Italy are coming to a standstill and that owing to lack of resources we shall not only come to a standstill, but also find ourselves in a very dangerous position unless the Russians go on from one success to another. Our build up in Italy is much slower than the German, and far slower than I had expected. We shall have an almighty row with the Americans who have put us in this position with their insistence to abandon the Mediterranean operations for the very problematical cross Channel operations. We are now beginning to see the full beauty of the Marshall strategy!! It is quite heartbreaking when we see what we might have done this year if our strategy had not been distorted by the Americans. He jumped out of bed and began pacing up and down. ‘Damn the fellow’, he said under his breath. And then he rang for a secretary. When he began dictating a telegram to the Foreign Secretary I got up to leave the room. Alex’s fears had upset the PM. His mind was now made up. He turned to the secretary, who held her pencil ready. There is of course no question of abandoning ‘Overlord’ which will remain our principal operation for 1944. The retention of landing-craft in the Mediterranean in order not to lose the battle of Rome may cause a slight delay, perhaps till July, as the smaller class of landing-craft cannot cross the Bay of Biscay in the winter months and would have to make the passage in the Spring. The delay would however mean that the blow when struck would be with somewhat heavier forces, and also that the full bombing effort on Germany would not be damped down so soon. We are also ready at any time to push across and profit by a German collapse. These arguments may be of use to you in discussion. The Prime Minister said that he was half American and he had a great affection for the American people. What he was going to say was not to be understood as anything disparaging of the Americans and he would be perfectly loyal towards them, but there were things which it was better to say between two persons. We had a preponderance of troops over the Americans in the Mediterranean. There were three to four times more British troops than American there. That is why he was anxious that the troops in the Mediterranean should not be hamstrung if it could be avoided, and he wanted to use them all the time. In Italy there were some 13 to 14 divisions of which 9 or 10 were British. There were two armies, the 5th Anglo-American Army, and the 8th Army, which was entirely British. The choice had been represented as keeping to the date of ‘Overlord’ or pressing on with the operations in the Mediterranean. But that was not the whole story. The Americans wanted him to attack, to undertake an amphibious operation in the Bay of Bengal against the Japanese in March. He was not keen about it. If we had in the Mediterranean the landing craft needed for the Bay of Bengal, we would have enough to do all we wanted in the Mediterranean and still be able to keep to an early date for ‘Overlord’. It was not a choice between the Mediterranean and the date of ‘Overlord’, but between the Bay of Bengal and the date of ‘Overlord’. He thought we would have all we wanted in the way of landing craft. However, the Americans had pinned us down to a date for ‘Overlord’ and operations in the Mediterranean had suffered in the last two months. Our army was somewhat disheartened by the removal of the 7 divisions. We had sent home our 3 divisions and the Americans were sending theirs, all in preparation for ‘Overlord’. That was the reason for not taking full advantage with the Italian collapse. But it also proved the earnestness of our preparations for ‘Overlord’. It seems hard to believe that with all his burdens, Churchill routinely faced “Questions” in the House of Commons, and handled them with relish and skill. From many entries, exchange on “Basic English” provides a taste. (Basic English, promoted by Churchill, was a limited vocabulary of 850 English words by which foreign peoples might better understand the English-Speaking democracies.) Willie Gallacher, a frequent critic, was Communist MP for West Fife, Scotland. Henry Wedderburn, Conservative MP for Renfrew, was jibing Churchill over one of his invented words, “triphibian,” referring to Britain supreme on land, sea and in the air. The Prime Minister merely responded with another of his favorite archaic words, “purblind”…. Sir L. Lyle asked the Prime Minister when the Committee of Ministers set up to study and report upon Basic English are expected to reach their conclusion? The Prime Minister: I hope to receive the recommendations of this Committee before very long. Sir L. Lyle: When we do get this Report will the BBC be asked to adopt it, or will they still continue to use Basic BBC? The Prime Minister: Basic English is not intended for use among English-speaking people but to enable a much larger body of people who do not have the good fortune to know the English language to participate more easily in our society. Mr Gallacher: Will the right hon. Gentleman consider introducing Basic Scottish? Mr Wedderburn: Does Basic English include the word ‘triphibious’? The Prime Minister: I have tried to explain that people are quite purblind who discuss this matter as if Basic English were a substitute for the English language. Since publication of a book on the 1943-44 Bengal famine a few years ago, Churchill and his War Cabinet have been accused of near-genocidal behavior over aid to the victims. The Viceroy, Lord Wavell, and Secretary of State for India, Leo Amery, are frequently represented as Churchill’s critics. At that time, Sir Martin Gilbert said that the relevant documents, which he had exhaustively compiled, would be revealed in the appropriate document volume. That time has now come with publication of Fateful Questions. Reading it, no one could consider that Churchill and his Cabinet, in the midst of a war for survival, did not do everything they could for the plight of the starving, and for the Indian people in general. Only a few excerpts are possible here. They barely scratch the surface. Your first duty is the defence of India from Japanese menace and invasion. Owing to the favourable turn which the affairs of The King-Emperor have taken this duty can best be discharged by ensuring that India is a safe and fertile base from which the British and American offensive can be launched in 1944. Peace, order and a high condition of war-time well-being among the masses of the people constitute the essential foundation of the forward thrust against the enemy. The material and cultural conditions of the many peoples of India will naturally engage your earnest attention. The hard pressures of world-war have for the first time for many years brought conditions of scarcity, verging in some localities into actual famine, upon India. Every effort must be made, even by the diversion of shipping urgently needed for war purposes, to deal with local shortages. But besides this the prevention of the hoarding of grain for a better market and the fair distribution of foodstuffs between town and country are of the utmost consequence. The contrast between wealth and poverty in India, the incidence of corrective taxation and the relations prevailing between land-owner and tenant or labourer, or between factory-owner and employee, require searching re-examination. Every effort should be made by you to assuage the strife between the Hindus and Moslems and to induce them to work together for the common good. No form of democratic Government can flourish in India while so many millions are by their birth excluded from those fundamental rights of equality between man and man, upon which all healthy human societies must stand…. Secretary of State for India (Mr. Amery): At the beginning of the year His Majesty’s Government provided the necessary shipping for substantial imports of grain to India in order to meet prospects of serious shortage which were subsequently relieved by an excellent spring harvest in Northern India. Since the recrudescence of the shortage in an acute form we have made every effort to provide shipping, and considerable quantities of food grains are now arriving or are due to arrive before the end of the year. We have also been able to help in the supply of milk food for children. The problem so far as help from here is concerned is entirely one of shipping, and has to be judged in the light of all the other urgent needs of the United Nations. I have seen the telegrams exchanged by you and the Viceroy offering 100,000 tons of wheat to India and I gratefully acknowledge the spirit which prompts Canada to make this generous gesture. Your offer is contingent however on shipment from the Pacific Coast which I regret is impossible. The only ships available to us on the Pacific Coast are the Canadian new buildings which you place at our disposal. These are already proving inadequate to fulfil our existing high priority commitments from that area which include important timber requirements for aeroplane manufacture in the United Kingdom and quantities of nitrate from Chile to the Middle East which we return for foodstuffs for our Forces and for export to neighbouring territories, including Ceylon. Even if you could make the wheat available in Eastern Canada, I should still be faced with a serious shipping question. If our strategic plans are not to suffer undue interference we must continue to scrutinise all demands for shipping with the utmost rigour. India’s need for imported wheat must be met from the nearest source, i.e. from Australia. Wheat from Canada would take at least two months to reach India whereas it could be carried from Australia in 3 to 4 weeks. Thus apart from the delay in arrival, the cost of shipping is more than doubled by shipment from Canada instead of from Australia. In existing circumstance this uneconomical use of shipping would be indefensible…. …The War Cabinet has again considered the question of further shipments of Australian wheat and has decided to ship up to another 100,000 tons, part of which will arrive earlier than the proposed cargo from Canada…. The Prime Minister informed the War Cabinet that, besides the telegrams before them, there had been a further communication from the Viceroy urging in the strongest terms the seriousness of the situation as he foresaw it, if the Government of India’s full demand was not met….While he was in general agreement with the draft telegram to the Viceroy he was most anxious that we should do everything possible to ease the Viceroy’s position. No doubt the Viceroy felt that if this corner could be turned, the position next year would be better…. The Minister of War Transport said that it would be out of the question for him to find shipping to maintain the import of wheat to India at a monthly rate of 50,000 tons for an additional two months. The best that he could do was represented by the proposed import of Iraqi barley. If, when the final figures of the rice crop were available, the Government of India’s anticipation of an acute shortage proved to be justified he would then have tonnage in a position to carry to India about 25,000 tons a month. But even this help would be at the expense of cutting the United Kingdom import programme in 1944 below 24 million tons, this being the latest estimate in the light of increasing operational requirements. In the circumstances it was clearly quite impossible to provide shipping to meet the full demand of 1½ million tons made by the Government of India. The War Cabinet had before them a Memorandum by the Secretary of State for India (WP (44) 216) reviewing the latest position as regards the Indian food grain situation. The result was a net worsening of 550,000 tons and the Viceroy, in addition to the 200,000 tons already promised, now required 724,000 tons of wheat if the minimum needs of the civil population were to be met and the Army were also to receive their requirements. The Secretary of State for India said that the position had been worsened by unseasonable weather, and by the disaster at Bombay, in which 45,000 tons of badly-needed foodstuffs and 11 ships had been lost. He was satisfied that everything possible had been done by the Authorities in India to meet the situation. Given the threat to operations which any breakdown in India’s economic life involved, he felt that we should now apprise the United States of the seriousness of the position. It must be for the War Cabinet to decide how far we should ask for their actual assistance…. The Prime Minister said that it was clear that His Majesty’s Government could only provide further relief for the Indian situation at the cost of incurring grave difficulties in other directions. At the same time, there was a strong obligation on us to replace the grain which had perished in the Bombay explosion. He was sceptical as to any help being forthcoming from America, save at the cost of operations of the United Kingdom import programme. At the same time his sympathy was great for the sufferings of the people of India. I am seriously concerned about the food situation in India and its possible reactions on our joint operations. Last year we had a grievous famine in Bengal through which at least 700,000 people died. This year there is a good crop of rice, but we are faced with an acute shortage of wheat, aggravated by unprecedented storms which have inflicted serious damage on the Indian spring crops. India’s shortage cannot be overcome by any possible surplus of rice even if such a surplus could be extracted from the peasants. Our recent losses in the Bombay explosion have accentuated the problem. Wavell is exceedingly anxious about our position and has given me the gravest warnings. His present estimate is that he will require imports of about one million tons this year if he is to hold the situation, and to meet the needs of the United States and British and Indian troops and of the civil population especially in the great cities. I have just heard from Mountbatten that he considers the situation so serious that, unless arrangements are made promptly to import wheat requirements, he will be compelled to release military cargo space of SEAC in favour of wheat and formally to advise Stillwell that it will also be necessary for him to arrange to curtail American military demands for this purpose. By cutting down military shipments and other means, I have been able to arrange for 350,000 tons of wheat to be shipped to India from Australia during the first nine months of 1944. This is the shortest haul. I cannot see how to do more. I have had much hesitation in asking you to add to the great assistance you are giving us with shipping but a satisfactory situation in India is of such vital importance to the success of our joint plans against the Japanese that I am impelled to ask you to consider a special allocation of ships to carry wheat to India from Australia without reducing the assistance you are now providing for us, who are at a positive minimum if war efficiency is to be maintained. We have the wheat (in Australia) but we lack the ships. I have resisted for some time the Viceroy’s request that I should ask you for your help, but I believe that, with this recent misfortune to the wheat harvest and in the light of Mountbatten’s representations, I am no longer justified in not asking for your help. Wavell is doing all he can by special measures in India. If, however, he should find it possible to revise his estimate of his needs, I would let you know immediately. Churchill’s questioning of Allied “carpet bombing” is well established in this volume. What is less well known is his concern over bombing civilians in the forthcoming invasion of France. Here he voices his worries to the Supreme Commander; in the event, Eisenhower convinced him that certain French casualties would have to be expected. The Cabinet today took rather a grave and on the whole an adverse view of the proposal to bomb so many French railway centres, in view of the fact that scores of thousands of French civilians, men, women, and children, would lose their lives or be injured. Considering that they are all our friends, this might be held to be an act of very great severity, bringing much hatred on the Allied Air Forces. It was decided that the Defence Committee should consider the matter during this week, and that thereafter the Foreign Office should address the State Department and I should myself send a personal telegram to the President. The argument for concentration on these particular targets is very nicely balanced on military grounds. I myself have not heard the arguments which have led to the present proposal. The advantage to enemy propaganda seem to me to be very great, especially as this would not be in the heat of battle but a long time before. Would it not also be necessary to consult General de Gaulle and the French National Committee of Liberation? There were many other arguments that were mentioned, and I thought I ought to let you know at this stage how the proposal was viewed. Little escaped the wide net of Martin Gilbert, who assembled in these documents a virtual day-by-day record of Churchill’s life. From here the Hillsdale team has assembled them in readable form, attaching a host of footnotes and cross references. Occasionally they include published recollections, like this one by Lady Diana Cooper: a startling and grim prediction she heard from Clementine Churchill. Fortuitously, in this case, Clementine was wrong…. “I was talking about post-war days and proposed that instead of a grateful country building Winston another Blenheim, they should give him an endowed manor house with acres for a farm and gardens to build and paint in. Clemmie very calmly said: ‘I never think of after the war. You see, I think Winston will die when it’s over.’ She said this so objectively that I could not bring myself to say the usual ‘What nonsense!’ but tried something about it was no use relying on death; people lived to ninety or might easily, in our lives, die that day. . . But she seemed quite certain and quite resigned to his not surviving long into peace. ‘You see, he’s seventy and I’m sixty and we’re putting all we have into this war, and it will take all we have.’ It was touching and noble.